The financial crisis of 2008-2009 caused a great deal of turmoil. I remember reading about the collapse of Lehman Brothers and the alarmist media coverage following that event. During the crisis, regulatory authorities did what they could to cope with events. After further reflection, legislators decided to implement sweeping changes. In today’s interview, we will learn about how new laws and regulations have reshaped the capital markets industry. Today’s featured guest is Susan Mannella, PMP. She is self-employed project management consultant. She is currently working with Scotiabank Global Banking and Markets. Prior to Scotiabank, Susan worked on projects at CIBC, Bank of Montreal and other financial firms. Founded in 1832 in Halifax, Nova Scotia. 1) What is your favourite project? I worked on the project to implement the Dodd-Frank Act at Bank of Montreal in 2012-2013. The complexity and scope of the regulatory reform and the impact it had on large financial institutions was an opportunity to participate first hand in the broad and deep impact the act at the organizational level. The scope of the project expanded beyond technology and operations to the front office staff, middle office groups, compliance, legal and trade floor supervision areas of project management that I was interested in pursuing. The project gave me an understanding of how the legislation impacted the bank. In that case, I worked closely on the effort to update and improve the reconciliation process to achieve compliance with the regulations. 2) How did you get started in project management? I became attracted to project management because there were excellent opportunities to do interesting work in a constantly changing environment. One day, the light just came on – I enjoy the world of capital markets. Earlier in my career, I was the business lead on a large project. During that time, I learned the importance of project skills to supervise staff and stay organized. Consulting and teaching are two of the best ways to gain wide experience in project management. Jarrod Anderson, today’s featured guest, has the wide experience of a consultant and the empathy of a teacher. In this interview, you’ll learn about the challenges you face in large, program-scale projects where success and failure are difficult to understand. Implementing change and compliance at large financial institutions is not a challenge for the faint of heart. Jarrod Anderson, PMP, has strong expertise in banking technology projects. Jarrod Anderson is a certified Project Management Professional (PMP) with 20 years of software development experience within the Mortgage Banking and Financial Services industry. His focus has been on the design and development of Loan Origination Systems, Mortgage Software, and Financial Services Applications. He provides expert analytical and technical consulting services in Software Application Development, Business Intelligence, Analytics, and Business Process solutions. He holds a Bachelors of Science degree in Finance, Real Estate, and Law from California Polytechnic State University, Pomona. As an independent consultant, Jarrod has advised firms such as Wells Fargo, Washington Mutual, and Bankers Trust (Deutsche Bank). Prior to his current role at a Fortune 100 technology firm, Jarrod worked at Oracle Corpration. 1) What are your favourite projects and why? I’m interested in very large projects because of the scale and complexity involved. I’ve worked on projects with America’s largest financial institutions. Those kind of enterprise software projects involve multiple jurisdictions and lines of business – there’s a lot of complexity to manage. It was a gradual evolution. I started my career on Wall Street where I administered a multi-billion dollar mortgage bond portfolio. Later on, I transitioned to Oracle where I began work on large technology projects. Recently, I’ve been working at a large IT firm that provides consulting and project management services to the largest financial institutions in America and abroad. Jon McGowan, PMP, has led major finance projects around the world. Regulatory considerations are important in every aspect of the financial industry. Did you know that the mobile banking application you use on your smart phone required project manager expertise? Today’s featured interview guest has worked at several of Canada’s largest banks. 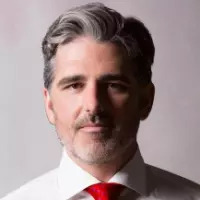 Jon McGowan is a Project Management Consultant who builds PMOs for banks, and specializes in transformation and innovation projects. His client list includes large banks such as TD Bank and Bank of Montreal. 1) What was your favourite project and why? In 2011, I was part of the Bank of Nova Scotia team that delivered a mobile wallet application to Haiti. Bill Gates personally launched a $10 million challenge to whomever could be the first to launch a mobile wallet to help distribute aid after the 2010 earthquake in Haiti, and we won the challenge with our local telco partner Digicel. In the first year, we reached 800,000 users in a country of only 10 million people. The project was a great example of banking and technology coming together to provide services to one of the poorest countries in the world at a time of critical need. Later, Bill Clinton (who’s foundation also supported us) wrote about the project and it was featured on the cover of Time Magazine as examples of ways that technology is improving the world. It made me believe that project management has a huge role to play in changing the world for the better. 3) What’s the largest project you’ve ever run? At TD Bank, I played a key leadership role in launching their first mobile banking application. The project ran for two years, had approximately two hundred team members and stakeholders scattered across Canada, the US and overseas, with a budget of around $20 million. That project benefited from strong executive support because CIBC, one of TD’s competitors, was the first to overall launch a mobile application. TD Bank defines itself as the most convenient bank for customers so it was vital to provide mobile banking to their customers ASAP, and be a little bit more convenient. That’s why we decided to launch the first Wealth Management App, we wanted to overtake CIBC in terms of offering a great product. It was a great experience being in a “tech-race” like that! 4) What frustrates you the most on projects? These days, I try to stay Zen with the challenges of project management. I have seen project managers in the past burn out because they try to “own the date” when they don’t actually control the resources they’re relying on. It’s extremely stressful if you take delays personally because of things that are out of your control. Successful project managers understand that projects bring change and uncertainty. Large organizations are built on processes that can easily be scaled up for greater output and profits. They want the same kind of predictability from their projects as they’re used to getting from their processes, and that simply doesn’t exist. When a project arrives and starts to change the status quo, that change can be perceived as threatening, so all kinds of strange things happen that create delays. Of course there’s also potential for conflict between project work which is creative and non-routine and the steady state process focused work of the operations staff. In my view, the best project managers develop empathy and know when to provide hand holding to help staff through change and when to back off and let things slide. Large organizations often struggle to communicate the rationale for projects, people get overloaded, priorities are unclear, and conflicts aren’t resolved. You can’t fix all of that with one project. It’s a culture issue, not a project management issue. You have to do your best to make sure that the purpose of a project is properly communicated so you can help manage people’s fears and uncertainty and figure out the right pace to move them forward.. I love being in the eye of the storm. I feel like it brings out the best in me. 5) What did you study at university and how did you discover that you wanted to do project management as a career? I studied business and accounting in college and then went to university to get a degree in computer science. I figured computers were everywhere so I ought to know how they worked. But I was a terrible programmer, and since I graduated right around the time of the Dot Com crash, I found there was lots of better programmers, but few people who understood what programmers actually did, and could explain it to business people and customers. 6) In your work, what regulations have triggered the need for project work? Today, regulations touch every part of the industry. Arguably, the pendulum has swung too far in favour of regulation following the 2008 financial crisis. Some regulators seem to be issuing regulations based on fear of innovation or pandering to populism. Unfortunately, poorly thought out regulations often prove very costly to implement and do not add value to the business or protect consumers. But it makes for a great photo op. In 2014, Canada’s Anti-Spam Legislation (CASL) is an excellent example of poorly designed regulation. This is a very heavy handed way to respond to spam. In my experience, most spam I receive comes from overseas rather than Canada so as a consumer, this law is not going to help me that much. From a business owner perspective, this legislation effectively reduces the value of their email marketing lists, which is a very valuable asset that has been built up over years of work. How many people are going to ignore or forget to “re-subscribe” to every Canadian newsletter, shrinking the mailing lists of legitimate companies for no reason other than complying with regulations? To me it feels like stakeholders were not consulted in a meaningful fashion, or their objections were ignored when this legislation was created. 7) How do you plan for ongoing maintenance after a project has been completed? There is an emerging body of research that address post-project management. The discipline of change management developed specifically to sustain large processes that required periodic adjustments. More recently, I have been focused on benefits realization which is another area of growing research. More and more people are interested on the return on projects. We are starting to get better at answering questions like “what is the return on investment for the project?” or “Did the project deliver the right change to the organization?” The irony is that to measure if a project is successful; you need to plan for capturing those metrics right up front. If you try to do it at the end, you’ll get funny numbers that no one should trust. It’s no longer enough to say you were successful just because you were on-time and on-budget. If it was the wrong project, or if no one ended up using it, who cares if it was on time? Executives and sponsors want to see a clear lasting benefit to the organization from the investments they approve. 8) What is the greatest project management mistake you see happening? In the final analysis, a lot of projects fail to solve the problem they were initiated to solve. There is often a disconnect between the focus of the project team (i.e. delivering the project) and the organization (i.e. solving a business problem), so the solution doesn’t always match the problem. It also goes back to the idea of change management and benefit realization. I think it’s a huge mistake if you don’t plan for those activities up front, trying to do them at the end will make it impossible to measure meaningfully and there’s a giant risk that no one will care about what you did once you walk away. 9) How has the importance and maturity of project management at the organizations you’ve worked with evolved over the past five years? Project management offices (PMOs) are much more common today than a few years ago. There is also a greater understanding of the culture challenges inherent in project work. Project management has evolved a great deal – fifteen years ago, it was practically unknown as a professional discipline. You just worked on projects, there weren’t project professionals.. Speaking from my own experience, I’ve evolved into a management consulting role rather than a pure project role because I wanted to see the fruits of my labour, and make sure my clients would see benefits from our work. A lot of project professionals see this need, and they’re helping to advance the maturity of the profession in organizations. 10) What makes project management appealing to so many people? Project management is about constant change, rather than preserving the status quo. I think a lot of people are attracted to projects because they like the idea of constant change and learning. At the same time especially today people are frustrated by the lack of a defined career path for themselves. In more mature professions like public accounting for example, there is a defined career path. You complete education, fulfil a defined apprenticeship and then work towards partnership in a firm or industry. Project managers don’t have a defined pathway like that yet. Of course that means there’s a greater sense of possibility for those of us in the profession now. It’s very exciting to shape something new! 11) How do you stay informed about new developments in the financial industry and project management? In addition, I’ve found the Project Management Institute has done a great job creating communities, both online and in the real world. I’m an active member of the PMI-Southern Ontario Chapter and I meet tons of interesting people and hear lots of fresh ideas from them all the time. 12) When somebody says project management to you, what’s the first thing that comes to mind? A human nagging machine… Just kidding!… The world needs change, and project managers knows how to do it. We’re the profession that is going to figure out how to change the world for the better, so let’s get to work! Have you ever had that sinking feeling when somebody points out your flaws? The best way to respond is to take a deep breath and get to work on improving. Large financial institutions are reviewed by regulatory authorities such as the Office of the Superintendent of Financial Institutions (OSFI) regularly. In the course of those reviews, the regulators identify problems that demand solutions. When that happens, firms call on the deep expertise of Deloitte and similar firms. Today’s interview guest on Project Management Hacks is Steven Peck, PMP, PMI-RMP. He is Senior Manager at the Enterprise Risk practice of Deloitte Canada. 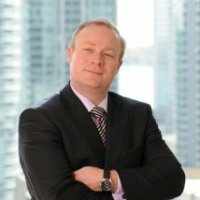 In addition to his work at Deloitte, Steven also volunteers as the Secretary-Treasurer of the PMI Southern Ontario Chapter. Deloitte’s Enterprise Risk practice offers professional advice and consulting in several areas including IT security, environmental regulations, and technology governance. Deloitte is Canada’s largest professional services providing audit services, consulting, tax advice and other services. The Deloitte Learning Academy is a professional education resource that provides articles on enteprise risk and regulations. 1) What are your favourite kind of projects and why? Regulatory projects are some of the most interesting that I’ve ever worked on. They are large and have impacts across the entire firm. I also find that regulatory projects drive change in an organization that has an impact beyond the project itself. Regulatory projects bring people together from many units because regulators tend to view a bank as a single entity. In many cases, employees are used to a silo perspective – “I’m interested in only Capital Markets and no other part of the organization.” Successful regulatory projects have a unifying effect on the organization. Is your privacy protected? How can you be sure? Protecting privacy is one of the great challenges in regulatory project management. Like any regulation, managing privacy obligations entails significant costs. 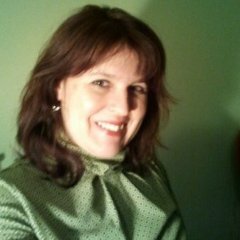 Today’s interview guest on Project Management Hacks is Amalia Steiu, PMP. She is the manager of Privacy Risk Awareness at the Royal Bank of Canada (RBC). With millions of clients around the world, RBC has substantial privacy responsibilities. RBC is Canada’s largest bank by market capitalization. RBC is a diverse financial services firm that earns 54% of its earnings from retail banking, 23% from Capital Markets and smaller amounts from insurance and other lines of business. 1. What are your favourite kind of projects and why? I like working on compliance projects because project management is new and fresh to that field. I also like that there are gray zones and ambiguity on compliance projects. In software projects, you can turn the application on and see what happens. In compliance, there is more ambiguity. 2. How did you get started in project management? Back in the 1990s, I started by working on technology projects. Earlier in my career, I worked at GSK (GlaxoSmithKline), the global pharmaceutical firm. GSK has an outstanding project management culture – everyone spoke the same language. Everyone was focused on quality because a low quality pharmaceutical product can kill people. I also had the benefit of working with directors who deeply understand the project management discipline. At GSK, project management was a way to reduce cost while maintaining high quality standards. 3. What’s the largest project you’ve ever run? I ran an IT project to transition over 500 people from Lotus Notes to Microsoft Outlook. The project was very challenging because email is a very important application. The project team only had six-eight weeks to complete the project. The project was delivered successfully! Regulations are an ever growing feature of modern life. For professionals working in certain industries – finance, health and nuclear power – regulations shape every decision. For the project management community, implementing or maintaining compliance with regulations is a major source of projects. To kick off my multi-part series on regulatory project management, this article will provide the background you need to get started. 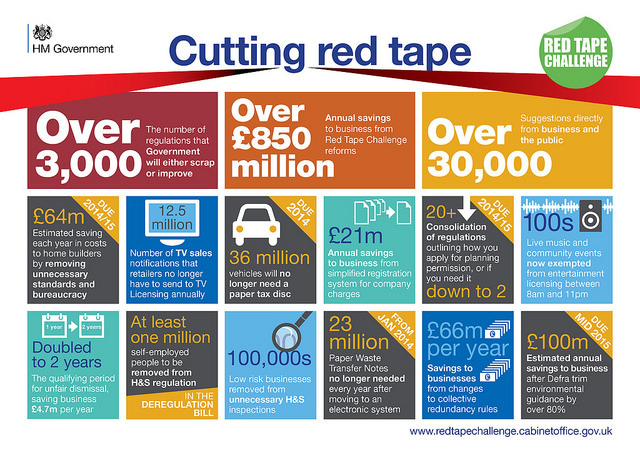 In January 2014, UK Prime Minister David Cameron announced a project to eliminate 3,000 regulations. First, allow me a word on industry focus. My project experience is in the financial services industry. Given that history, I decided to focus this series on the finance sector. That said, this series has great value to professionals outside of the banking field. Like it or not, regulations cast a long shadow. It is worth taking the time to understand their impact.